Hi Cim! Could you start off by telling me who you were when you were 7–8 years old? Hm .. as a 7–8 year old I was probably a happy and playful little girl, yet with something serious residing in me. I loved playing and being mischievous with my friends, I laughed a lot and loud. I remember how my teacher during a teacher-parent conference told me that I laughed too much and too loud during lessons, haha ​​what a silly thing to say! I also enjoyed my own company, I painted a lot and often spent time in the woods behind our house playing by myself by the creek there. … and who are you now, a few decades later? The truth be told, I think that for a few years that little girl I just described, got lost. 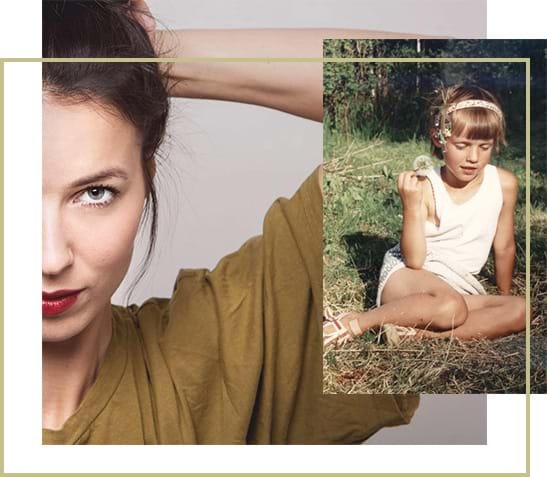 But the past years, have been quite eventful, mainly on a personal and spiritual level and now I feel much more like the 7-year-old Cim when it comes to finding my way back to the playfulness and joy I often felt as a young girl. After a few detours, I find myself in a stable place where I feel I can start pushing the edges a bit and dare to challenge myself. Wow, that’s a question I find difficult to answer in a few sentences because I firmly believe that we are a product of our childhood and that many of my behaviors and patterns come from there. It has taken a lot of work for me as an adult to understand what baggage I’ve brought with me from my childhood. But since we’re talking photography here, I can see how my upbringing made me pick up a camera. I was a very social and outgoing child but also had a side where I often went into myself and created in my solitude. In my childhood home, other family members took quite a lot of space so I found that I often entered an observational state. That’s the same feeling that I’ve found behind the camera since then; a distance and an opportunity to observe and understand what is happening in front of me. I like to observe how interactions take place in front of me and notice the when something seems extra beautiful and genuine. I started shooting as soon as a digital camera entered and it became mpre free to press the shutter button because there wasn’t a limited number of 24 shots in the roll. I used to crawl on the lawn and photograph in macro with that little compact camera and edited like crazy in photoshop afterwards. 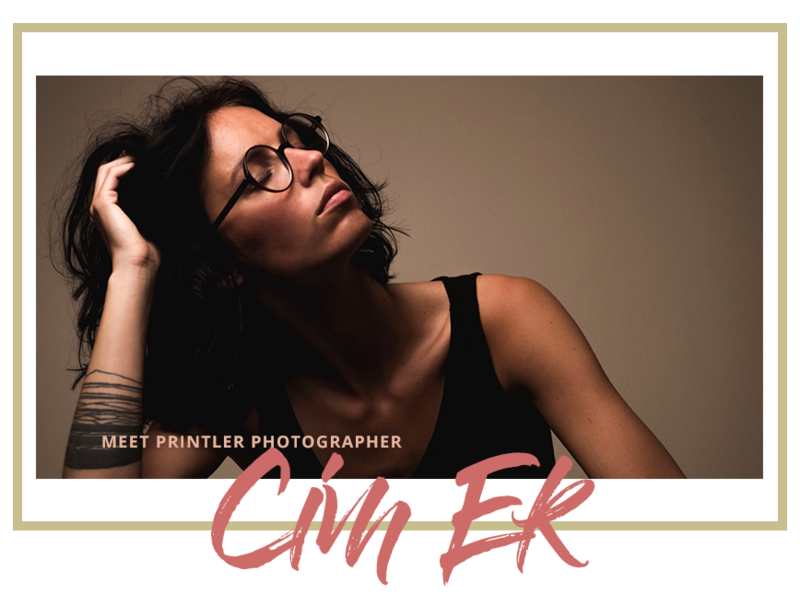 Since then, the camera and its viewfinder have been a tool for me as a person, helping me when it comes to soul searching and finding answers to questions about myself and life. Do you have any really old pictures to you could show us from when you first started shooting? I recently went through all my photos and deleted old pictures for the first time in my life. I had five full hard drives with photos that I have now slimmed down to one! It was amazing feeling of liberation, I have to say. And incredibly exciting and fun to go through my own photo process . A lot has happened to me and a lot has happened to my photos. My first years with the camera, I almost only took photos of people, it wasn’t until Instagram came along that I started looking around and began to shoot other things with greater interest. What I have to offer is some of my previous bright mobile photos and also two pictures I took on my first trips in life, where I can see my expression and love for lines and architecture began. Your black and white cityscapes come from all over the world. Is photography often the main purpose of your travels? Yes, I think so! In any case, a very large part of it. 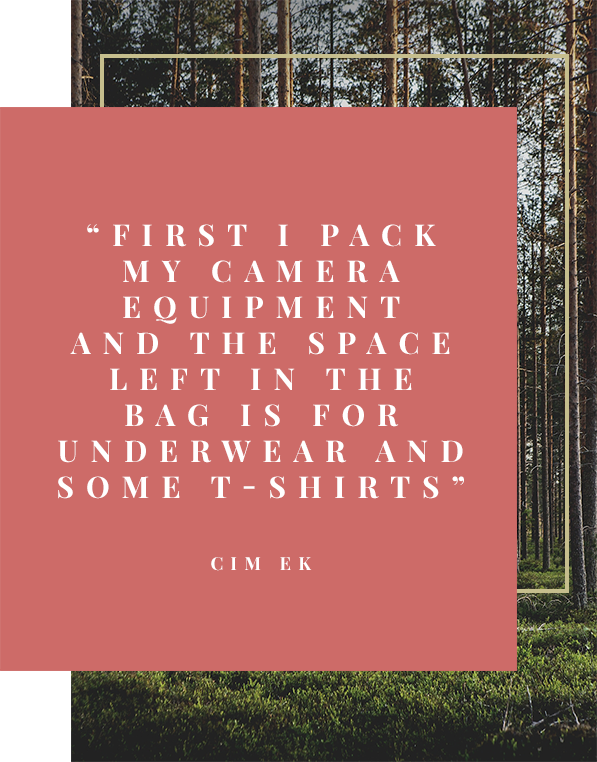 I pack the camera equipment first and the space left over in the bag goes to underwear and some t-shirt! When I was backpacking through Central America, the majority of my backpack was camera equipment! For me, there’s probably no other way to travel, because if I want to see a new place, I see it best through my camera lens. .. and came home with lots of wonderful motifs. Is there any other big city you would like to visit? Loads! There is so much I haven’t seen yet! But to mention a city in Europe that I haven’t been to yet, I’d say Prague, which is a must. Then I’m also terribly keen to visit Asia again and would love to see Hong Kong and Seoul. And I want to go to Moscow and Tehran as well. Do you, yourself decorate with photo art? Yes, definitely, but mostly with my own photos, haha! I have lots on my walls and often move them around and test new arrangements on my walls. Right now, I mix up my black and white architectural images with some of my paintings in color. What is your personal favorite motif in your own Printler gallery? 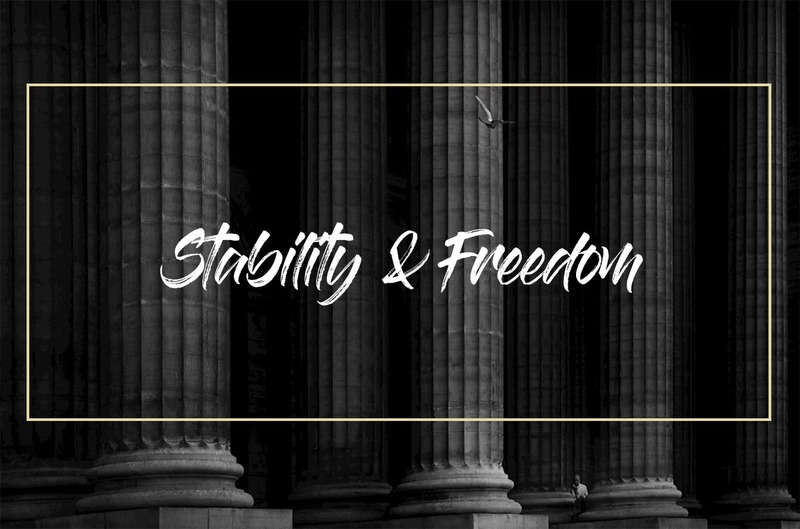 I think “Stability & freedom” because it represent so much for me personally. These strong, large, repetitive pillars that stand close together can be symbolized as much of the structure and order we have in our society. There is a man in a suit behind the pillars; small, lonely and quite lost, as I have felt during different times in my life. The picture is about changing your perspective, looking up and seeing that there is an alternative approach to these norms and needs, a way to fly free like the bird outside the pillars. Name a famous Swedish person whom you would like to send a print to! Has anyone chosen Laleh yet? Good! Then I choose Laleh. She, like my camera, has helped me through tougher periods of my life. And then she was sort of with us in thought, during our PrintlerWalk at Bjuröklubb! Then we’ll talk to Laleh! Thank you so much Cim for taking the time to talk to us!